For those still in a Halloween mood, be sure to take in the Fall Dance Concert, "Choreofest", on Thursday, Friday, and Saturday, Nov. 5, 6, and 7, at 7:30 p.m., in White Hall. 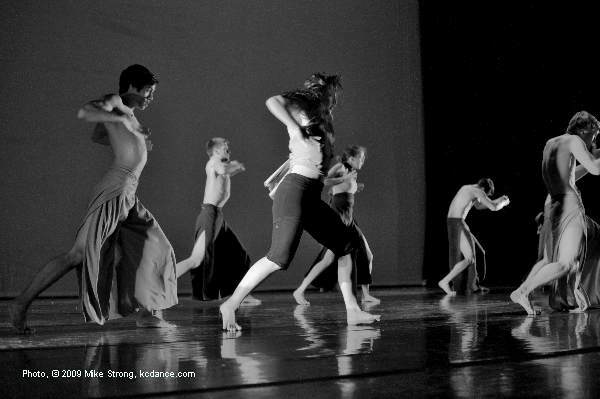 The Dance Division's Fall Dance Concert will reflect the Halloween holiday season by including ghosts and spooky spirits in an original work by new Faculty member, Ronald Trice. Trice's featured piece is a gothic tale of ghostly encounters. Ronald Tice is a welcome addition to the Dance Division, bringing his 30 years of professional dance experience in Europe and North America to the Conservatory. 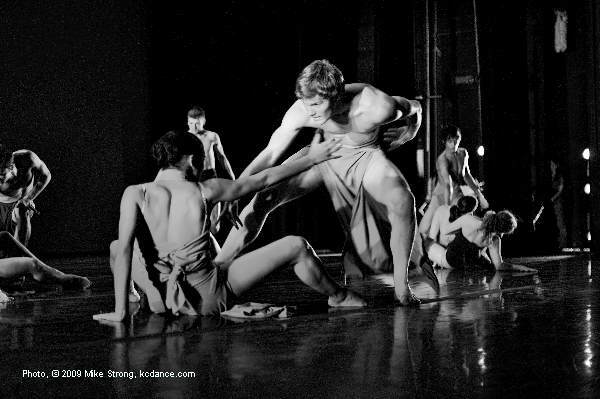 His choreography is energetic and engaging, stretching students' talents into new directions. "For this concert, I wanted to do a Halloween piece," said Tice. "It is about the spirits coming to grips with death, struggling with their transition into the afterlife, and going into the light." 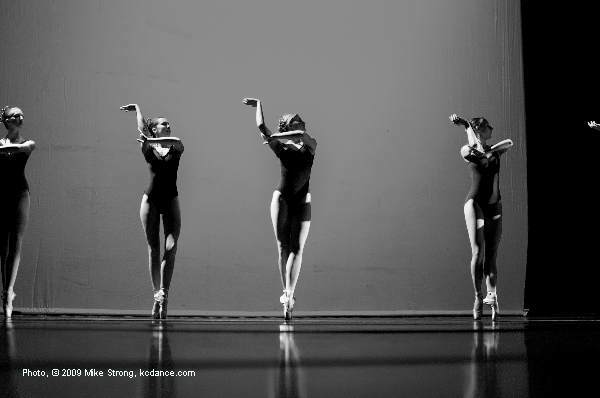 Set to Saint-Saens' popular work, Danse Macabre, Tice presents a challenging ballet suite that literally keeps the students "on their toes" with complicated partnering and athletic choreography. 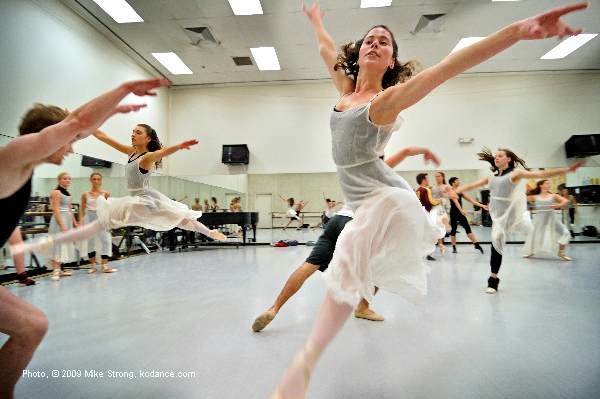 The choreography is demanding, but gives students a taste of professional ensemble-work. "It is a fun piece... but it is a very hard piece to do," said Kelanie Murphy, a sophmore in the Dance Program. "For the entire time that I am on stage, I am constantly running and jumping at full speed.... and it is all good.... it is just very demanding.... I really have to hustle to keep up with the music." Other faculty members will also be presenting their original works for this annual showcase of choreography, including Sabrina Madison-Cannon (The Widows), Rodni Williams (Utmost), and DeeAnna Hiett (Bound to....). Paula Weber, Dance Division Chair, will be presenting a modern ballet piece, (Between Impulse and Action), set to the music of Mozart, that will feature advanced toe-shoe skills and dressed in holiday colors. 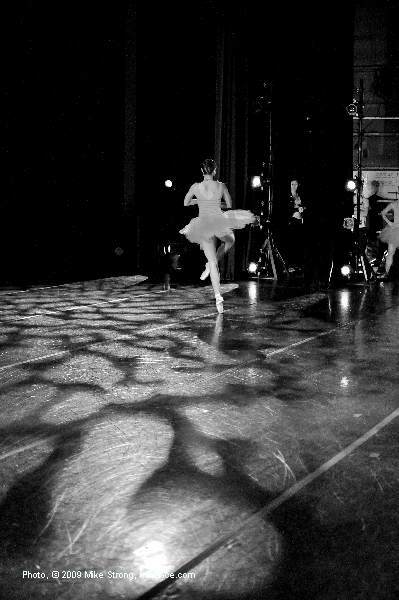 "It is a fun and action-packed piece that highlights each dancer in a short solo spot," said Weber. 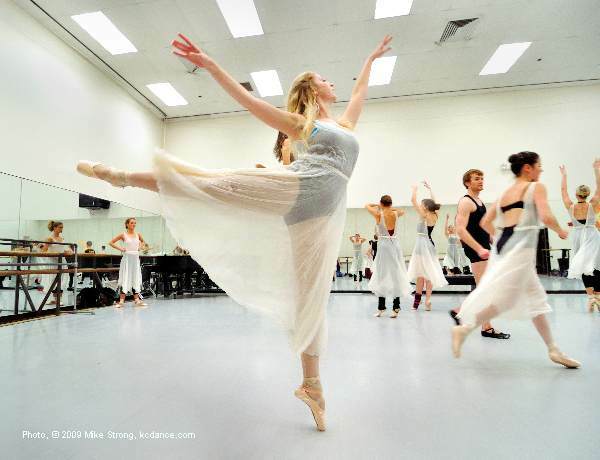 "It gives the students a chance to show off their advanced pointe-work." Mary Pat Henry, Associate Dean of Conservatory Faculty Affairs, is presenting a modern ballet to music by William Russell, (Percussion Suite). Dressed in burgandy and green leotards, the choreography is sharp, crisp, and angular, which complements the abstract percussive music. 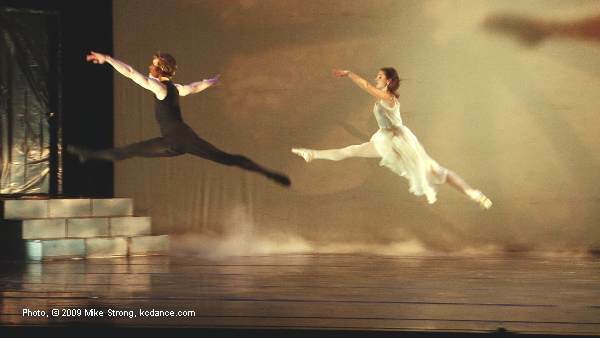 "This is music I always wanted to choreograph," said Henry. "Russell composed the music in 1932, but he was ridiculed for his ideas... he was way ahead of his time.... He was later rediscovered at age 70, and finally got the recognition he deserved." 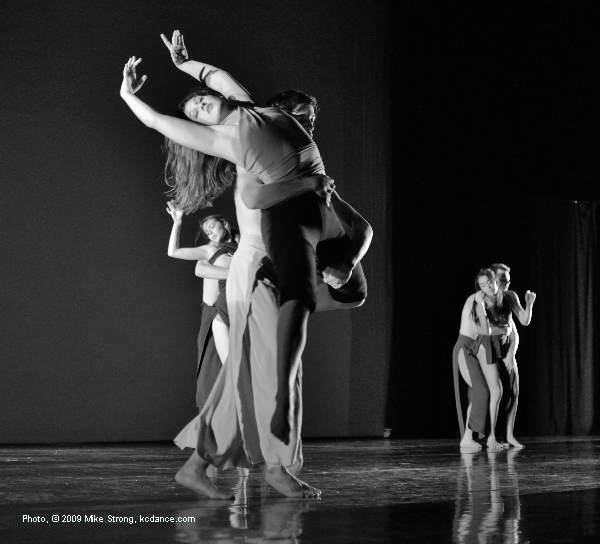 The Fall Dance Concert "Choreofest" 2009, will be held at 7:30 p.m., on Thursday, Friday, and Saturday, Nov. 5, 6, and 7, in White Hall, 4949 Cherry, Kansas City, Missouri, located in the Performing Arts Center on the UMKC campus, and is open to the public. Tickets will be available to the general public for $8 for general seating, $6 for seniors. Free admission for UMKC faculty, staff, and students with UMKC or student ID. Tickets can be obtained by calling the Central Ticket Office (816) 235-6222. The Conservatory's Dance Division will be presenting its annual Senior Dance Recitals, Feb. 10, 13, and 18, in White Recital Hall in the Performing Arts Center. The Recitals are offered free of charge and open to the public. Showtimes will be at 7:30 p.m., except for Sunday, Feb. 18th, which will be held at 2:00 p.m. Tickets will be available to the general public. 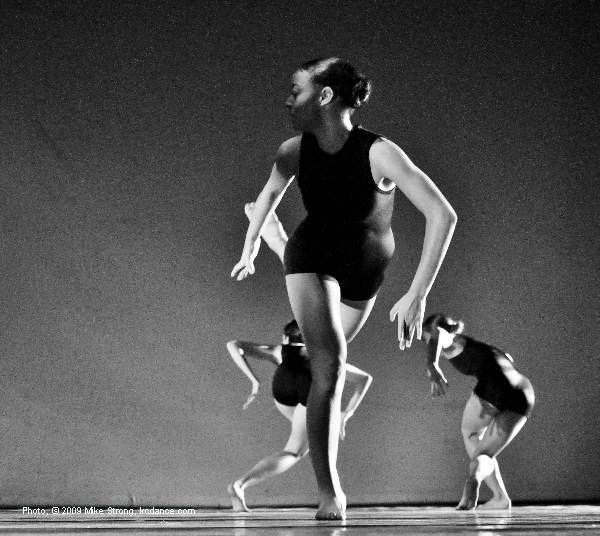 The dance students will also be participating in the upcoming annual Spring Dance Concert, April 15th, 16th, and 17th, at 7:30 PM in White Hall, (with an additonal 2:30 p.m. matinee performance on the 17th). Tickets will be available to the general public for $8 for general seating, $6 for seniors. Free admission for UMKC faculty, staff, and students with UMKC or student ID. Tickets can be obtained by calling the Central Ticket Office (816) 235-6222.